Extended family is great but traveling all together can be an absolute nightmare. From trying to get everyone to agree on a decision to splitting bills, so many things that normally are so simple can be more complicated than everyone can handle. 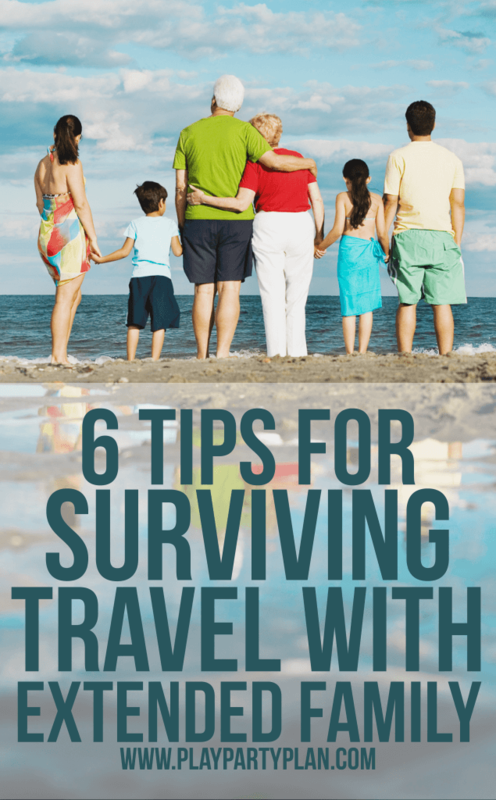 Use these tips and tricks to stay sane when you’re traveling with extended family. If there is one way to cause friction, it’s to try and do absolutely everything together. Instead, plan a few meals and/or activities all together ahead of time and then let individual families do their own thing. We did this for our cruise to Alaska a couple of years ago, and it kept us from being at each other’s throats the entire time. We didn’t have to agree on an excursion that worked for everyone, and we didn’t have to wait for everyone to get ready to go every morning. There are bound to be times when someone owes someone else money, whether it be to pay for the collective vacation rental or an activity that had to be paid for up front. If someone is willing, pick one person to pay the up front costs and let everyone else pay them. With money only being paid to one person, rather than a bunch of different people, it’s easier to calculate how much you owe and to keep track of who has paid and who hasn’t. 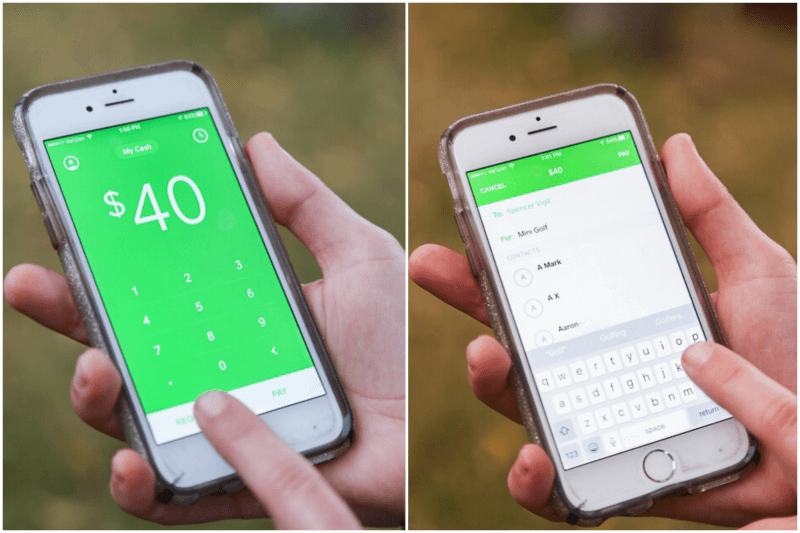 Speaking of easy, I just downloaded a new app called Square Cash that allows you to pay someone directly from your phone, without actually having cash on hand. 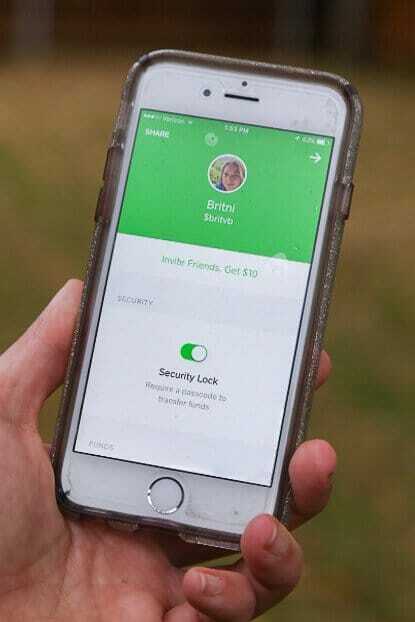 You just download the app, add your debit card (or credit card for a small fee) information, and it allows you to send money directly from your bank account. It’s perfect for traveling with extended family because people can pay their portion right away, helping to offset the upfront costs for the person in charge of the money. We always book a vacation rental when we’re traveling all together because not only is it cheaper than individual hotel rooms, it gives you a place to gather all together for games, eating, and just hanging out. The point of traveling with your family is to spend time with your family, and it’s hard to spend time as a family in tiny little hotel rooms. These tips for picking the best vacation rental can help. For those activities and/or meals that you do all together, ask if anyone has an opinion on what you do or where you eat. Ask once, then move on. If you try to please everyone, you’re going to end up pleasing no one. Take the opinions and input that you get and make an executive decision for everyone on where you’re going to eat and what you’re going to do. And then make a reservation ASAP because reservations for big groups should be made as far in advance as possible. Often times places will have discounts for large groups. When you’re planning out activities, make sure to look for those group discounts and utilize them. 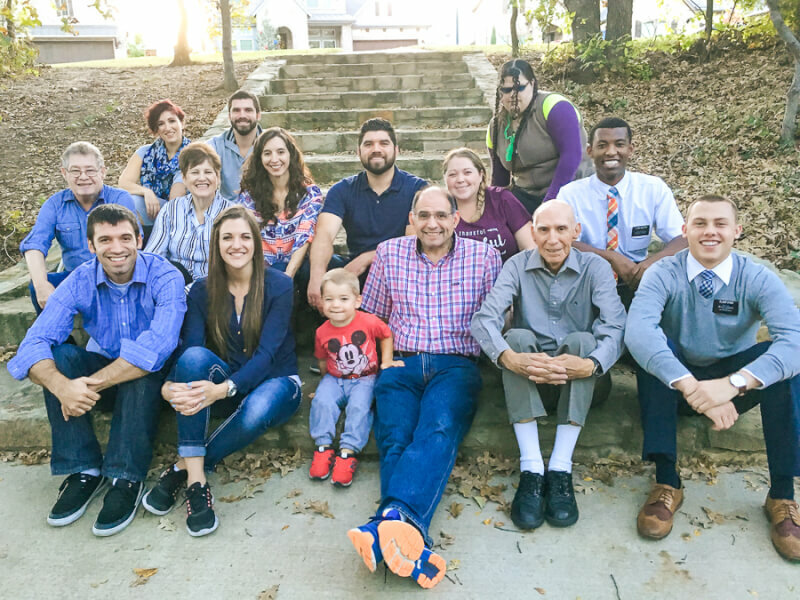 It’s one of the best perks to doing things with your entire family. Just be forewarned that often when you’re making a group reservation, you have to pay either a deposit or the entire amount all in one transaction. It’s another perfect opportunity to use the Squash Cash app, so whoever pays the full amount can get paid back right away. Just open the app, choose the contact you want to pay, and pay away. I used it to pay my brother-in-law Spencer just this weekend after we played mini golf. They had a buy a card with 10 activities deal that was much cheaper than buying them individually, so he bought it and I paid him back. It took less than a minute, and now I don’t have to remember to bring cash or write him a check. Things are going to go wrong. You’re going to be waiting on someone. Someone is going to be crazy or easily offended. It’s just what happens when you’re in a big group. Know that going in and try your best to be just a little more patient with everyone, especially if you’re traveling over the holidays. People say patience is a virtue, but I think patience is a cycle. If you’re patient with someone, they’re patient with the next person they deal with. And at some point during the trip, you’re probably going to want someone to be patient with you. Do your bests to keep trip costs low. 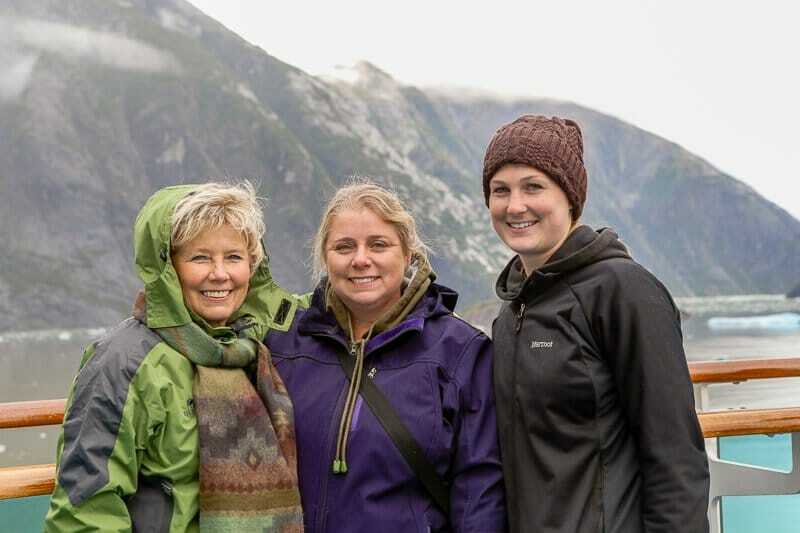 When you have extended family traveling together, you often times have broke college students, retired grandparents, and middle class parents traveling together. Some people are going to have more money than others, and you don’t want to leave anyone out because they can’t afford to participate. Eat breakfast together in your vacation rental, plan free days hiking or at the park playing together, rotate having people cook dinner for the entire group if you’re eating meals together. Keep costs low for the group activities and let individuals splurge on their own. Headed out on an extended family trip? Download the Squash Cash App from the Apple Store or Google Play Market before you go and encourage the rest of your family to as well. For more information or to see how else it could make your family vacation easier, follow along on Facebook, Twitter, and Instagram. What’s your best tip for traveling with extended family?